Home / Do I Need Winter Tires? All-seasons or as they are now being called “3 season tires” are meant for dry and mild wet weather conditions where the temperature is above 7 degrees Celsius. They are generally made of a harder rubber compound in order to get longer tread life which loses traction at near freezing temperatures. They cannot match winter tires in low temperatures. As the temperature falls, the rubber in summer and all-season tires becomes inflexible, seriously reducing traction. On snow, ice or cold pavement, the stopping distance of a car equipped with winter tires can be 30 to 40 per cent shorter than one with all-seasons. Although it’s the treads that you notice, the most important part of a winter tire is actually its rubber compound, which is formulated to stay soft and flexible at freezing temperatures. 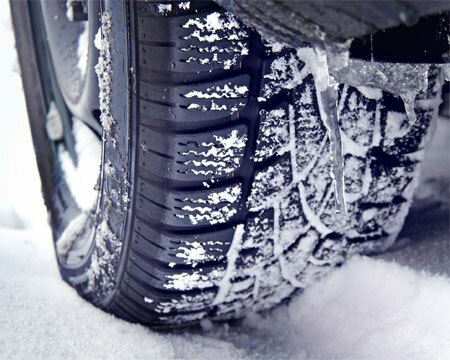 A winter tire’s soft rubber treads are able to wrap themselves around minute protrusions on cold pavement. Their more aggressive tread design and siping provides stability by biting snow and pushing away water and slush. Winter tires should be installed when you expect temperatures to fall below 7 degrees Celsius. When it comes to handling winter’s toughest conditions, choose a tire with the Three-Peak Mountain Snowflake Symbol. 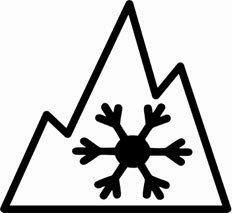 Transport Canada acknowledges that tires displaying this symbol meet specific snow traction performance requirements. They have been designed specifically for use in severe snow conditions and meet the industry requirements to be considered winter tires. For those who want vehicle safety but don’t want to switch between two sets of tires all-weather tires may be a good option. In terms of all-weather tires, think of them as a hybrid that combines the best of both worlds. All-weather tires are like a cross between all-season and winter tires. All-weather tires can be driven all year round and perform well in both summer and winter seasons. They also save you from the tire changeover and storage hassles. Like winter tires, all-weather tires are also marked with the three-peak mountain snowflake symbol and technically winter tires. However, in severe winter conditions, all-weather tires cannot match the overall traction level of a dedicated winter tire. 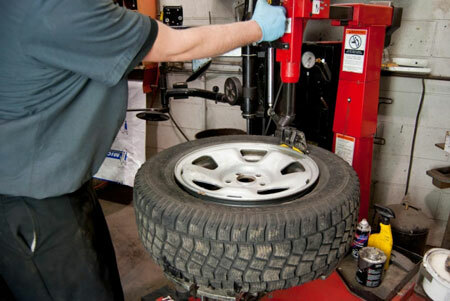 Nor can they provide the same performance, handling and long tread-life of an all-season tire in milder temperatures. Depending on your climate and driving habits all-weather tires may be the appropriate choice.